I just received a brand spanking new passport in the mail yesterday. I don't know what it was, but I some how felt odd that I was without a valid passport for over half a year. It's not that I had any plans to go anywhere, but not having that option always lingered in the back of my head. It was pure laziness that it took my so long to renew—who really wants to sit and measure a photo of them self to Department of State guidelines—but now that I have it, I'm fantasizing of all the places I've been and want to go. Looking through my previous passports while putting my new one away, I flipped through the visa pages of my most used passport, filled with stamps from Middle Eastern journeys, and all of sudden, more than anything, I just wanted some shawarma. 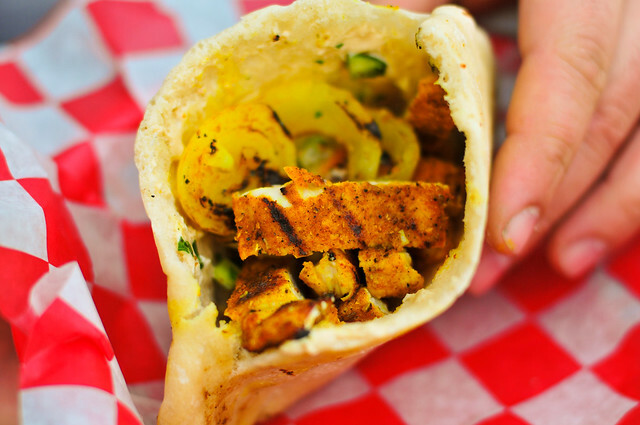 I had spent a semester "studying" in Tel Aviv, where shawarma quickly became a daily ritual. I always went for the lamb, with my mouth watering every time I watched that juicy, spiced meat being sliced off a massive column rotating on a vertical rotisserie. It's so good, I wish I could still get it everyday, but few places outside the Middle East really get it just right, and my hopes to make it at home are desperately low. So without a feeling that I'll ever truly replicate the fondess of memory in my own kitchen, I threw out any notion of authenticity and made a turkey shawarma from a recipe that sounded pretty delicious that I had seen in Bon Appetit. 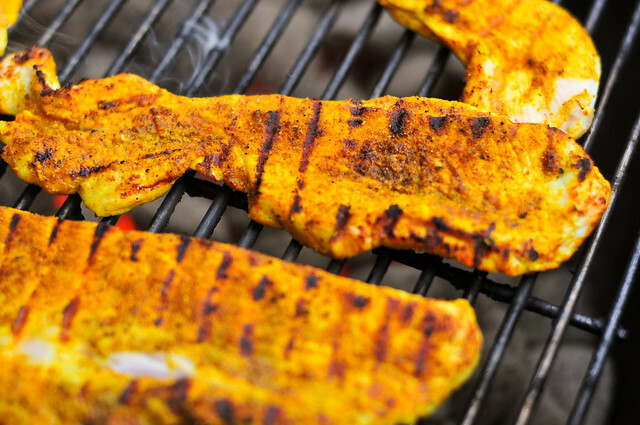 It started with a spice rub of turmeric, salt, coriander, cumin, black pepper, white pepper, and cayenne that was applied to brined and split turkey breast cutlets, which were laid on top of a layer of sliced and skewered onions. This then got a nice stay in the fridge to absorb the flavors of the rub. 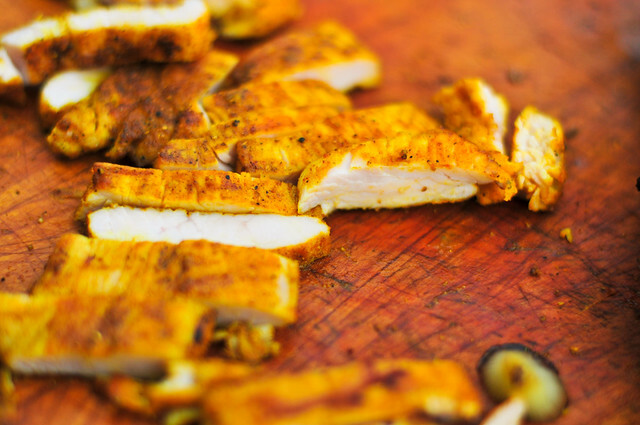 A big part of shawarma is the crisp-tender texture the meat gets on the vertical rotisserie. Until I purchase one of my own—don't tell the wife, but one day I shall own one—replicating that is probably near impossible, but the grill offers probably the closest chance. Cooking thin slices of meat over a high heat can produce a nice crisp crust, while not allowing the insides to over cook. So that's exactly how I grilled these. I got a decent result. 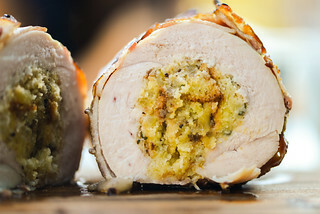 Mindful that turkey is not the best meat for forming a crust, there was some light blackening to outside of the turkey, creating an every-so-slight crunch, while the brined meat remained juicy inside. Those onions that the turkey rested on also got the grilled treatment, creating these beautiful yellow discs with a great char, sweetness, and crunch. It got me thinking that spiced onions could be a nice treat on their own. After everything was grilled and sliced, it got stuffed in homemade pocket pitas along with the required Israeli salad and hummus. The spiced turkey had a nice heat and flavor reminiscent of Middle Eastern cuisine, although a taste that was really its own. Paired with all the other stuffings, the pita was in a great harmony and made a killer sandwich. While I had no doubts that this would not be a shawarma of memory, and it wasn't, it was, never-the-less, pretty freaking good. Writing this is leaving me with even a stronger desire to start collecting new stamps and new memories and new tastes into my new passport, so I better stop now before I hastily trade in my ever-growing airline miles...or maybe that's exactly what I should do! 1. Mix the ingredients of brine together until the salt and sugar are completely dissolved. Place the turkey cutlets in the brine and refrigerate for 30 to 60 minutes. Remove the cutlets from the brine and pat dry with paper towels. 2. 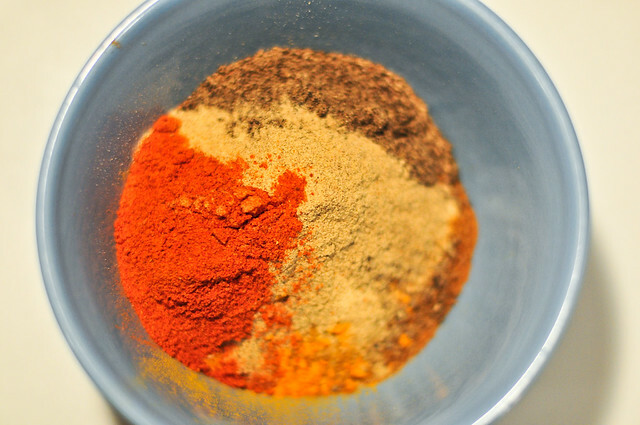 Mix turmeric, coarse salt, ground coriander, ground cumin, black pepper, white pepper, and hot paprika in small bowl. 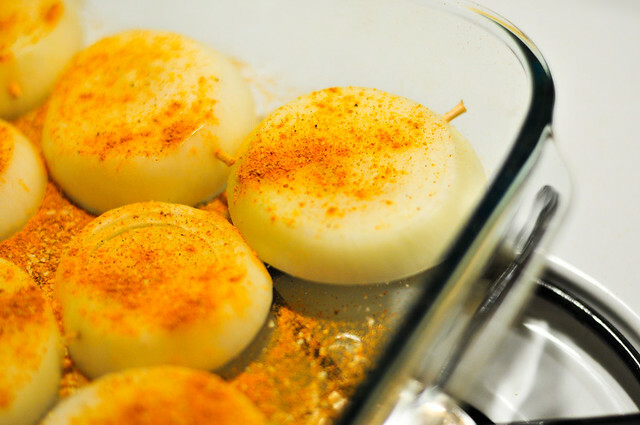 Place onion slices in a 13x9 baking dish and sprinkle with 1 tablespoon of the rub, then drizzle 2 tablespoons olive oil over, turning onions to coat both sides. 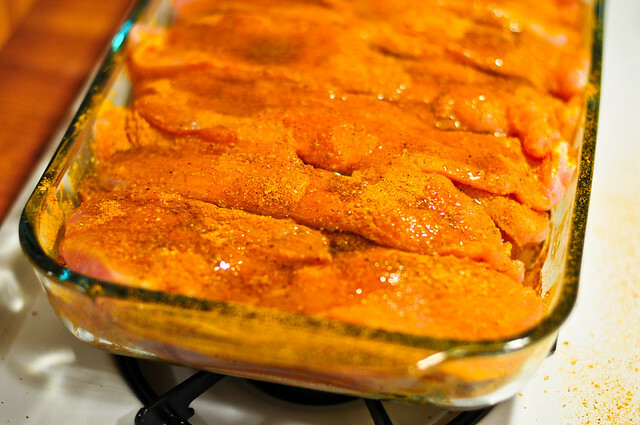 Sprinkle remaining spice mixture over both sides of turkey cutlets, rubbing in spice mixture with fingertips to coat. Place on top of the onions and drizzle with 4 tablespoons olive oil, turning cutlets to coat both sides. Cover and chill onions and turkey at least 4 hours and up to overnight. 3. Light one chimney full of charcoal. When all the charcoal is lit and covered with gray ash, pour out and spread coals out evenly over the charcoal grate and oil the grill grate. Clean and oil the cooking grate. 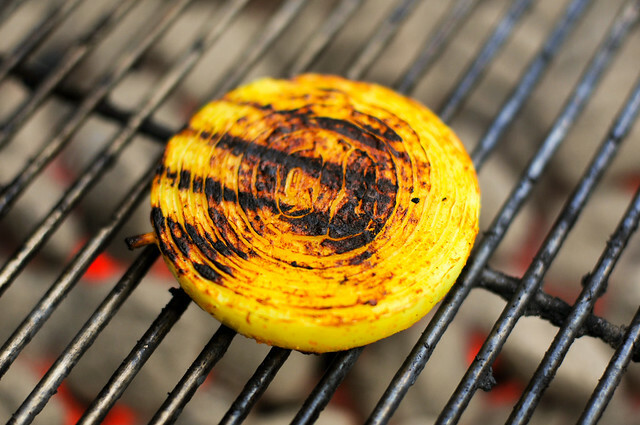 Grill onion slices until tender, about 2-4 minutes per side. Grill turkey cutlets until cooked through, about 1-3 minutes per side. Remove from the grill and allow turkey to cool for 2 to 3 minutes, then slice into strips about 1/2" wide. 4. 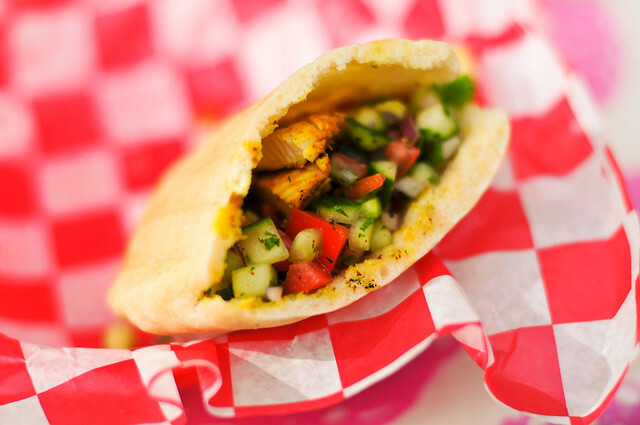 To serve, place turkey strips in a pita, add some grilled onions, hummus and Israeli salad. Mmmm! 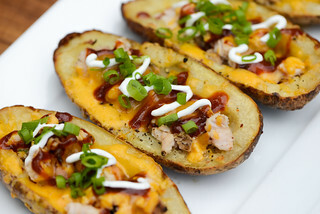 This looks good... with one teaspoon of red pepper it also looks HOT! I'd like to try this and I'll also take a crack at making my own pitas. One of the only redeeming thoughts of the Middle East is the shawarma. The heat, beef bacon, and I'm still not sure how you mess a lobster up like that, but - the shawarma kept me going. They were unsurpassed. It's like a slightly different Al Pastor taco.